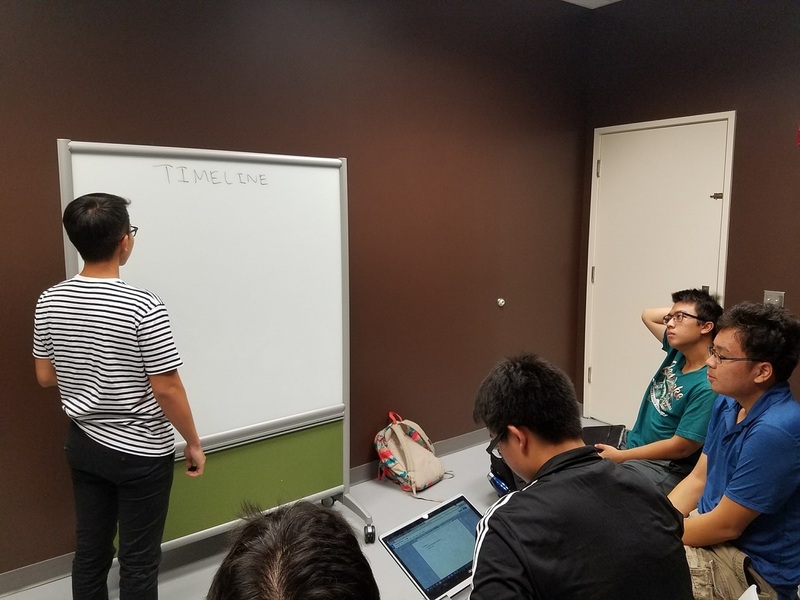 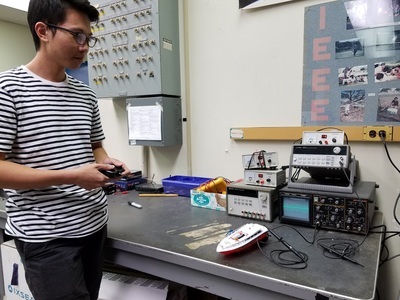 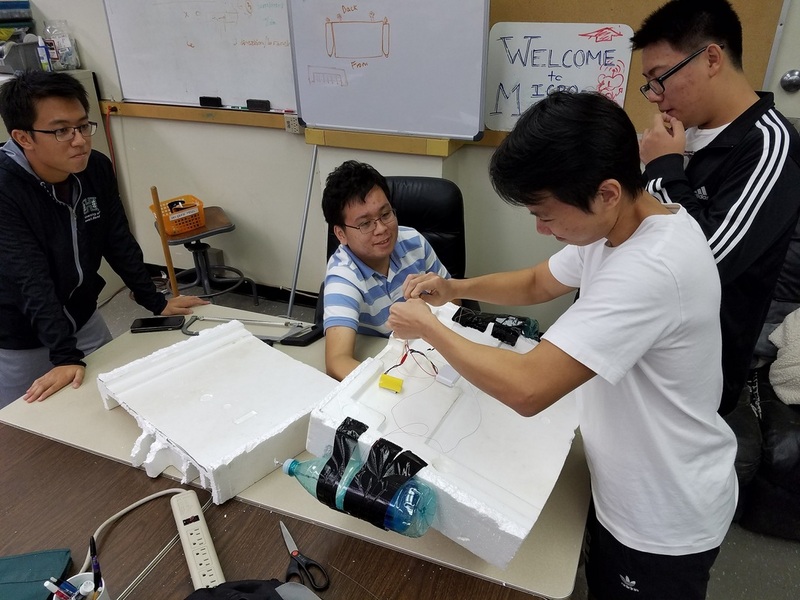 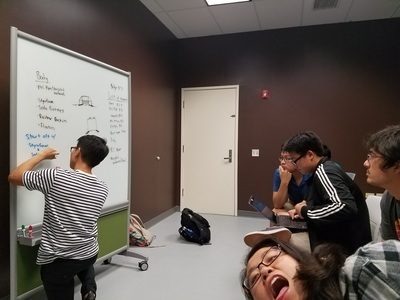 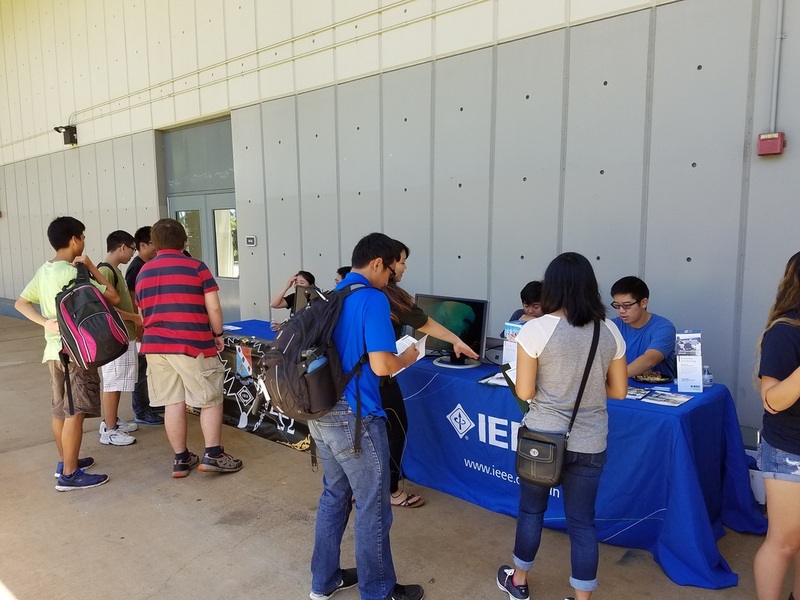 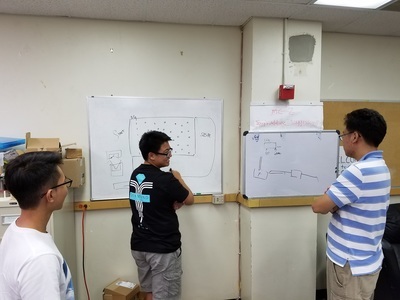 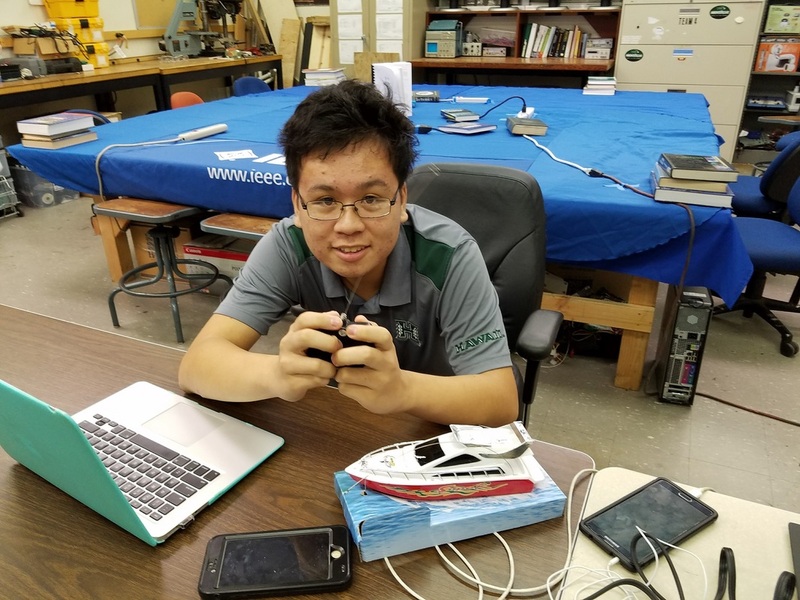 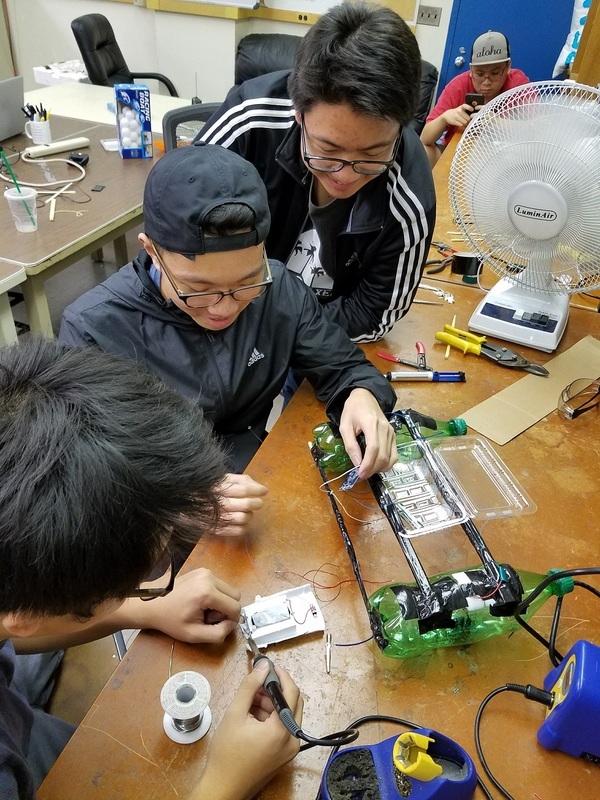 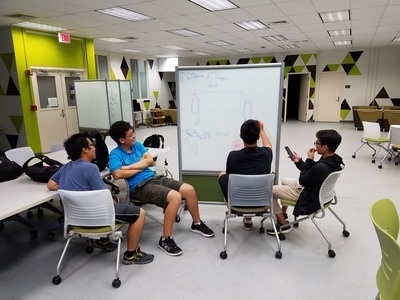 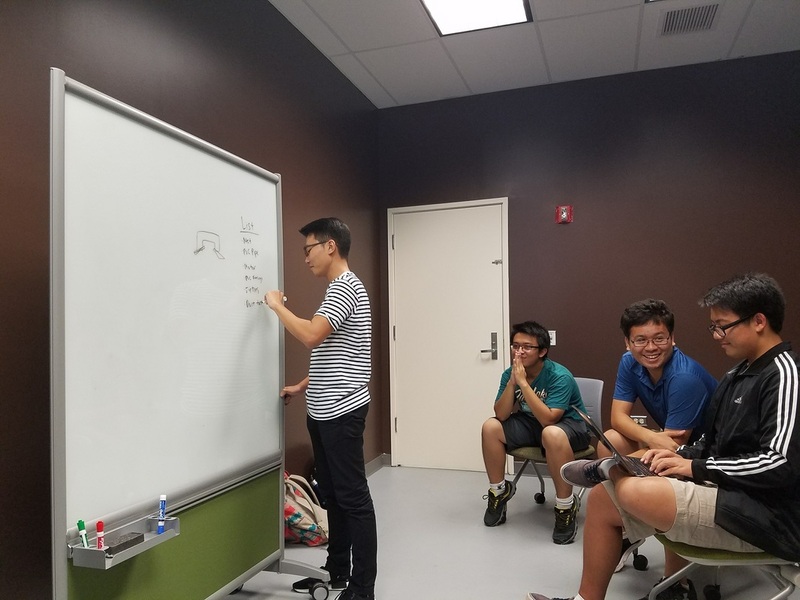 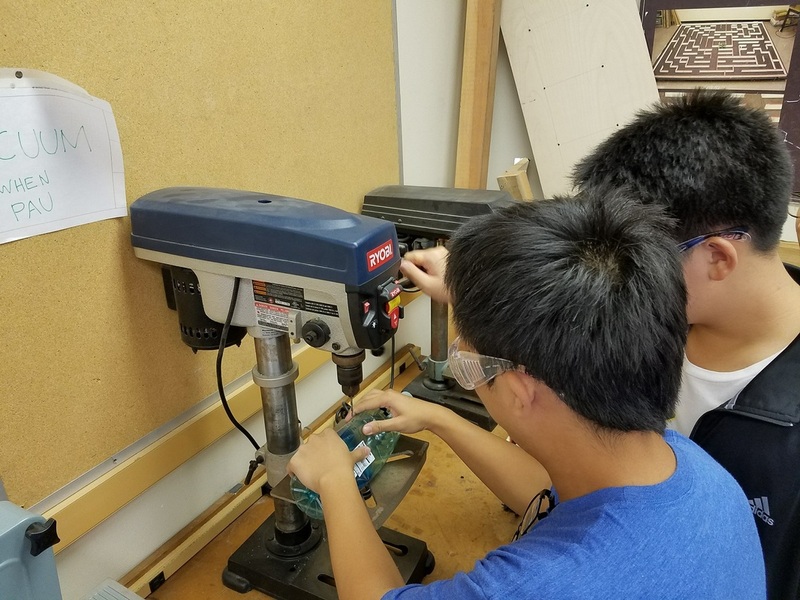 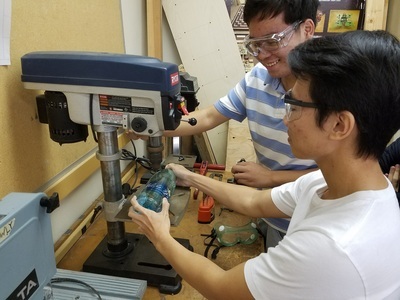 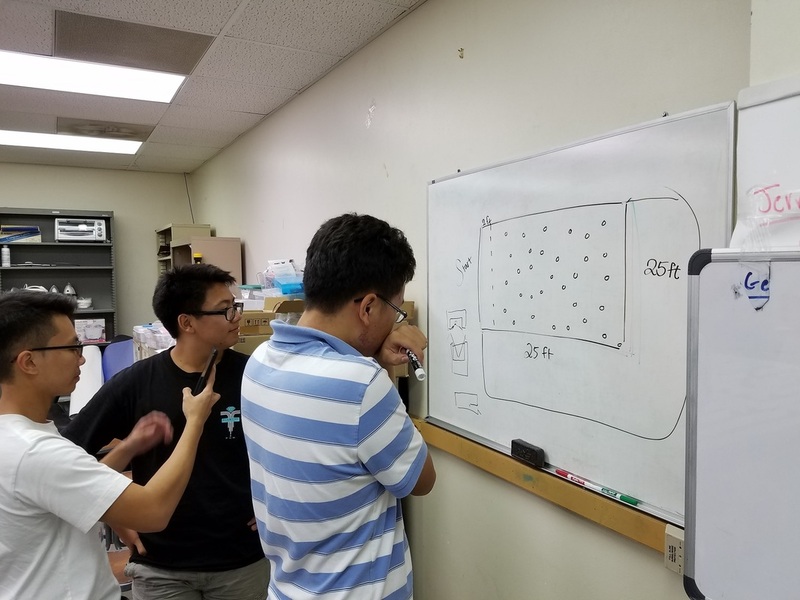 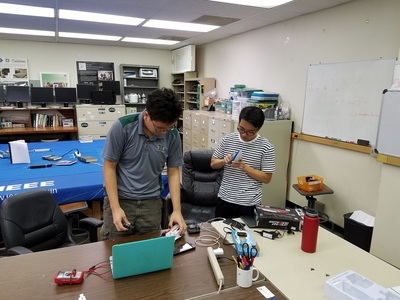 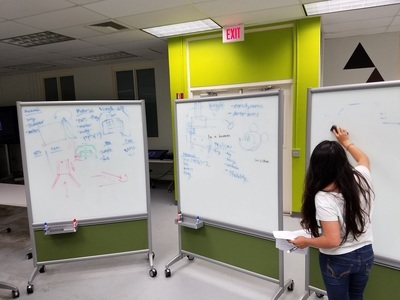 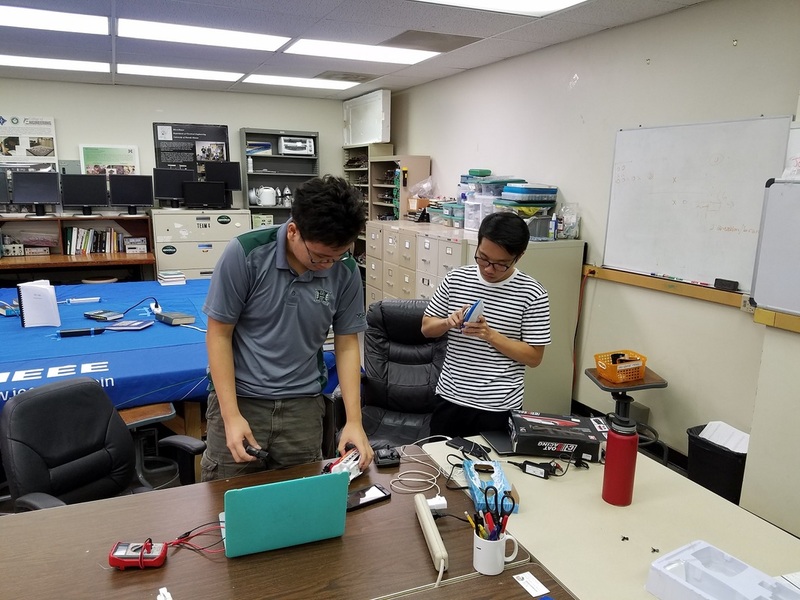 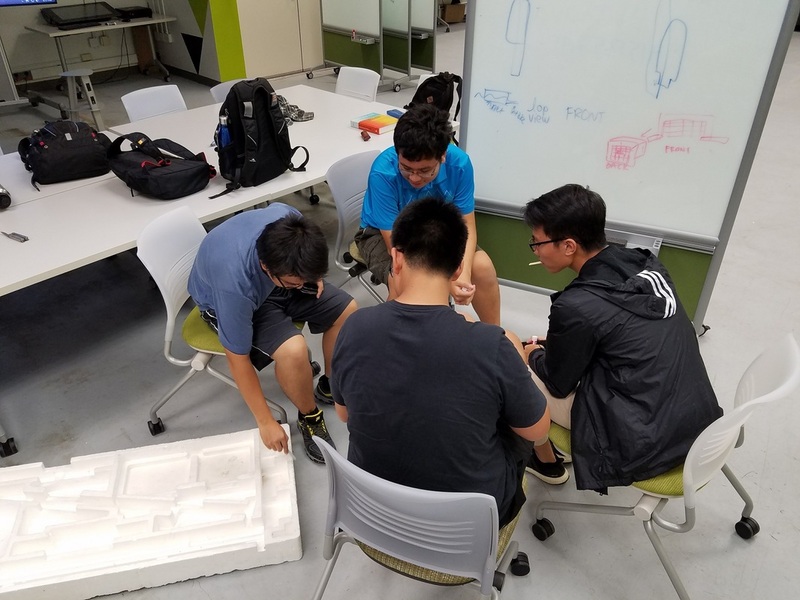 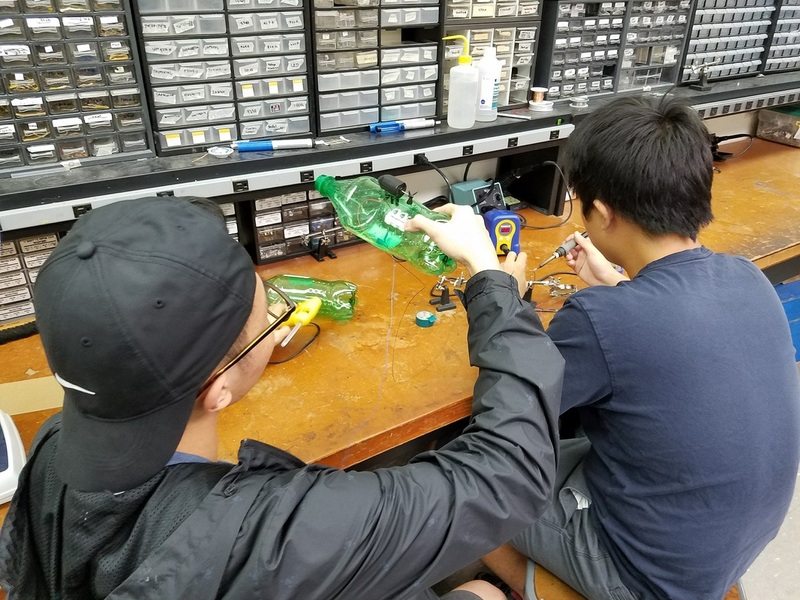 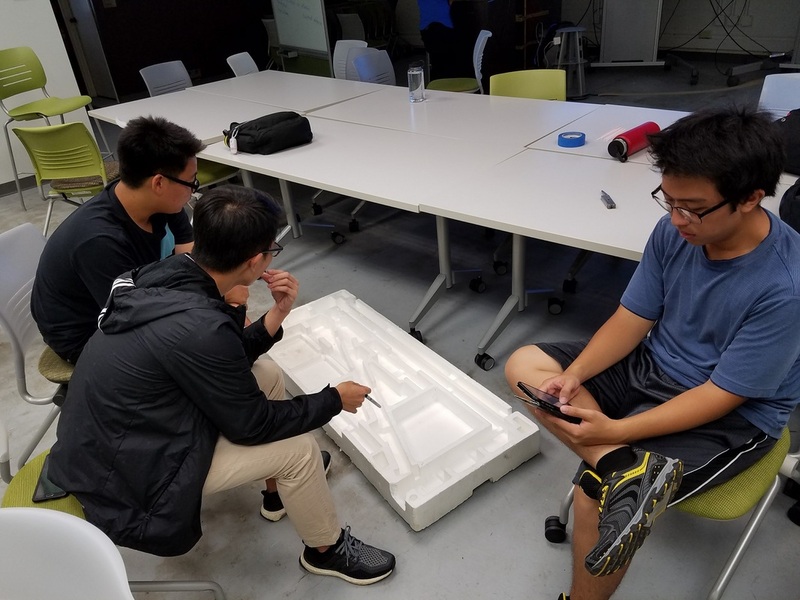 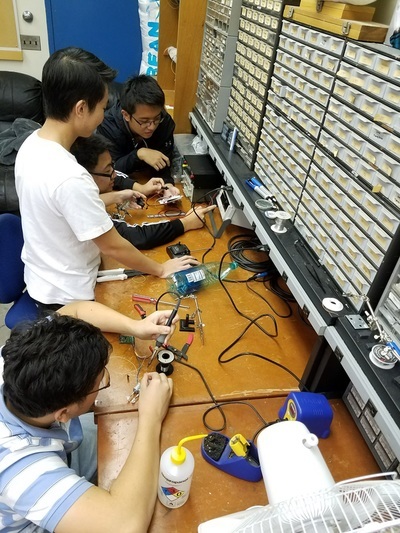 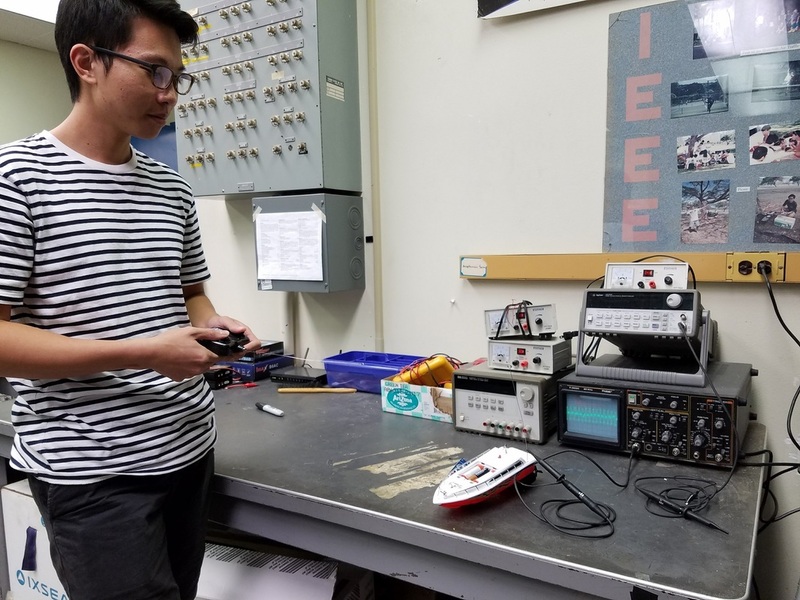 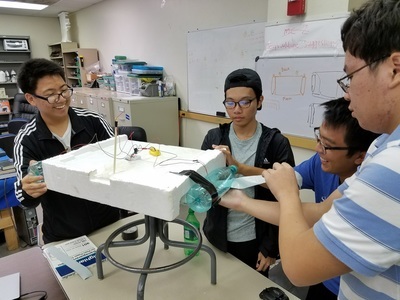 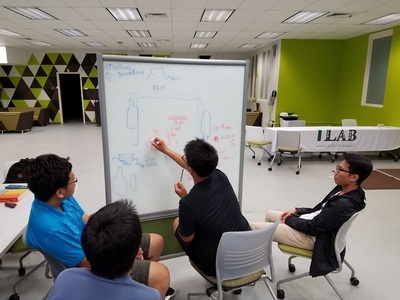 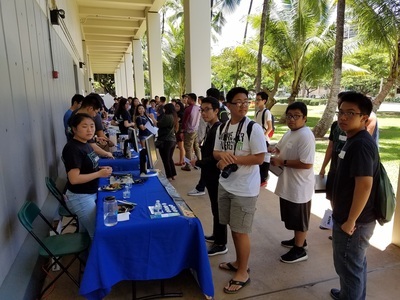 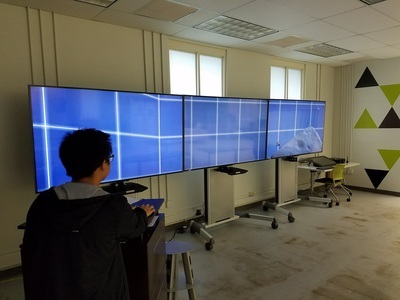 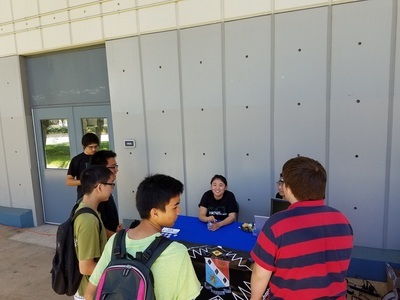 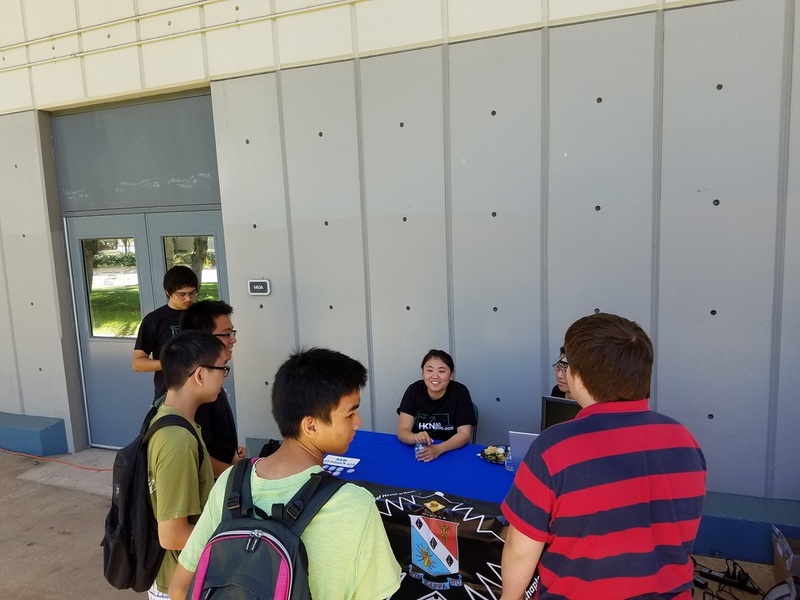 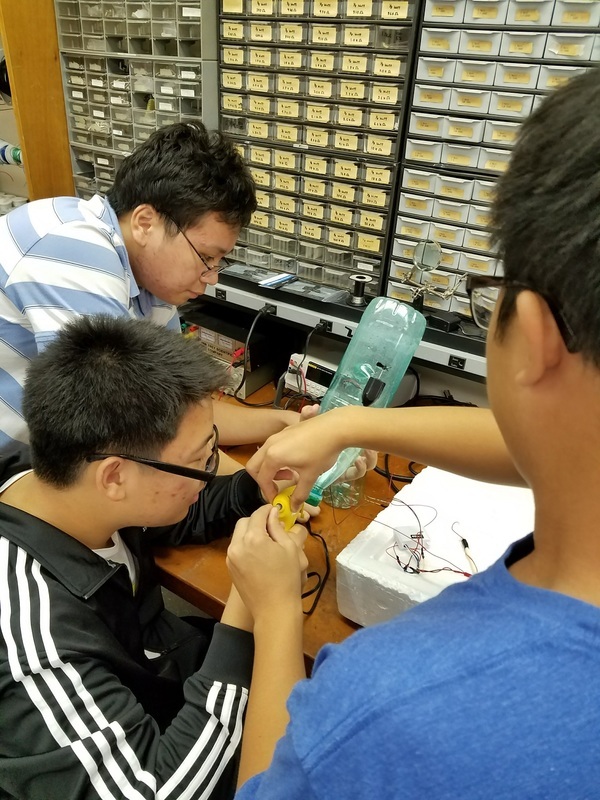 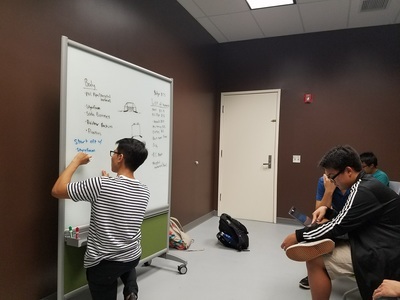 Blueprints is a program where incoming freshmen and transfer students get to participate in a semester-long engineering project while being mentored by representatives from a club. The purpose of this program is to give the new students some project experience as well as introduce them to various aspects of working on a team project. 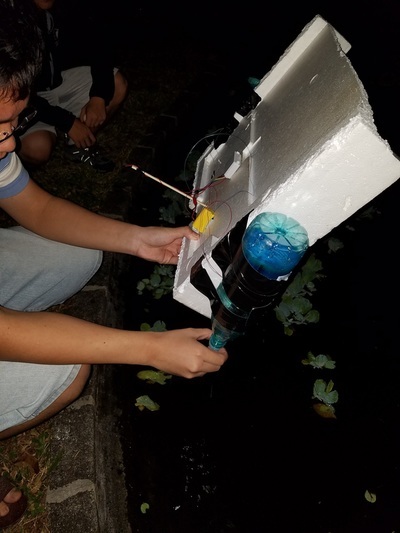 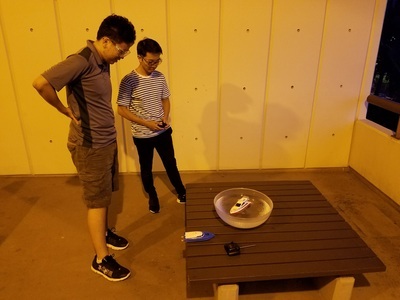 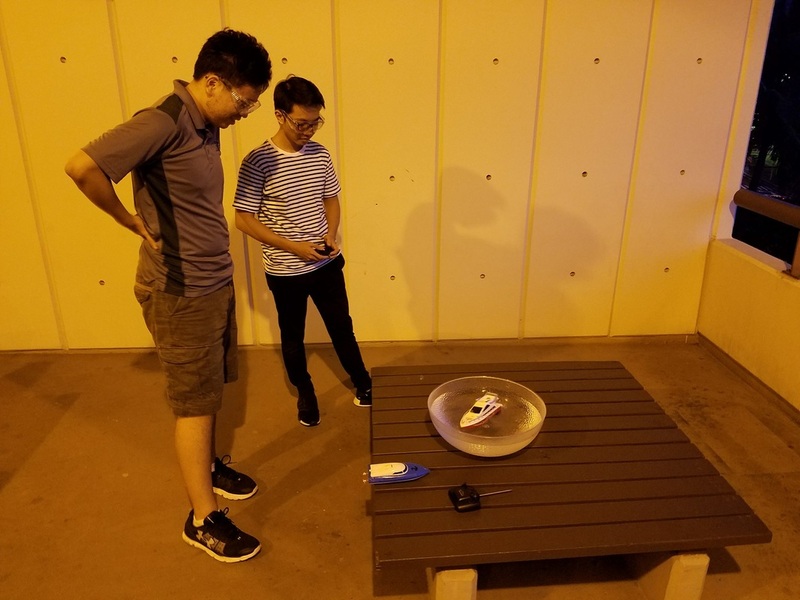 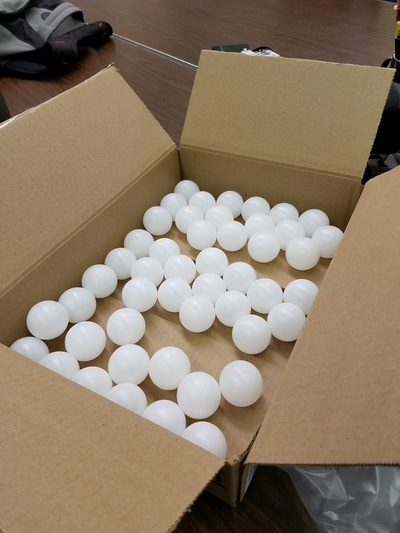 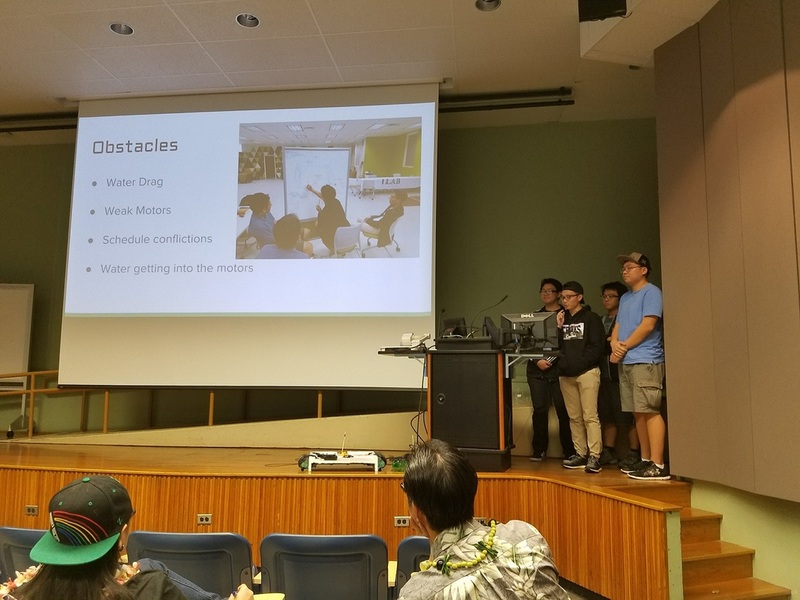 This year's challenge was to build a device that can remotely collect ping-pong balls from a pool of water. 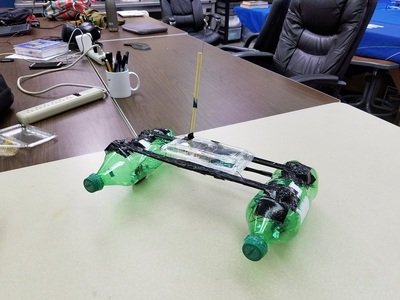 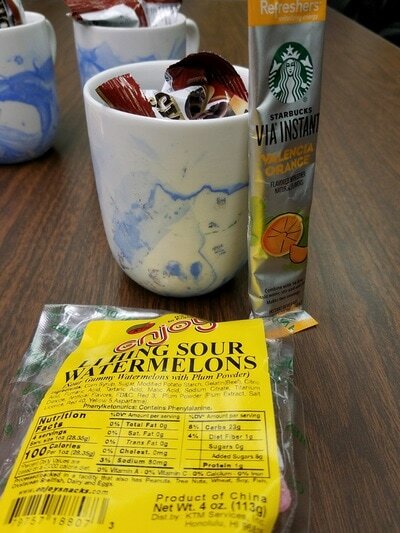 Each team was given a budget of $75 to design a working prototype. 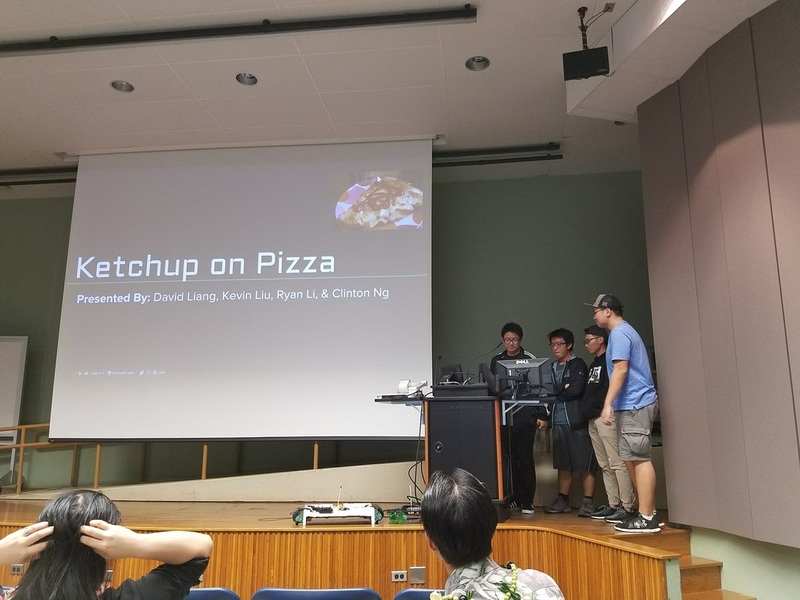 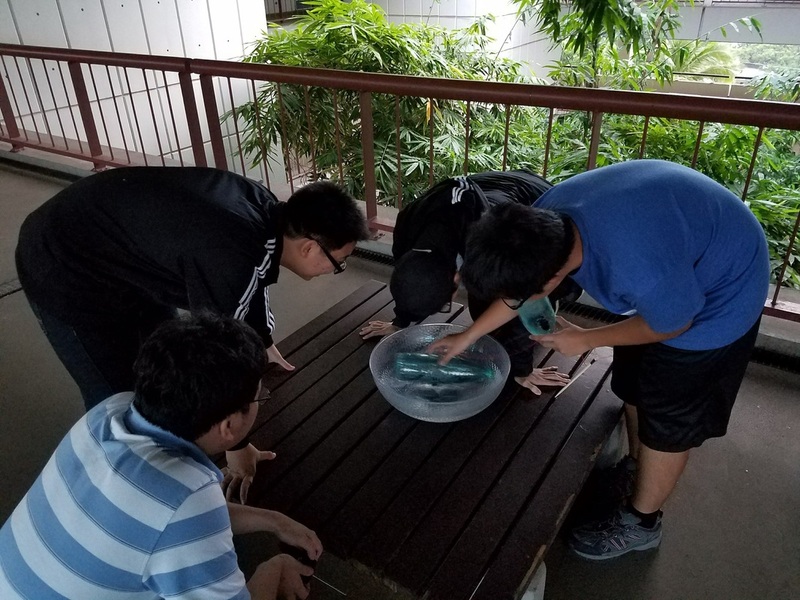 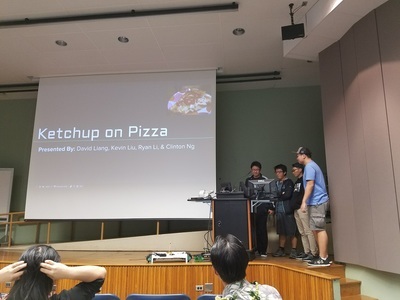 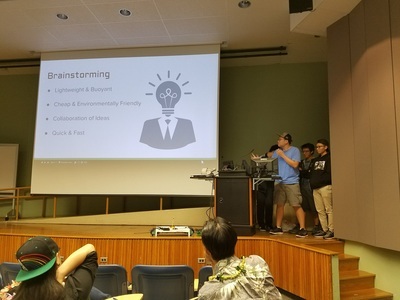 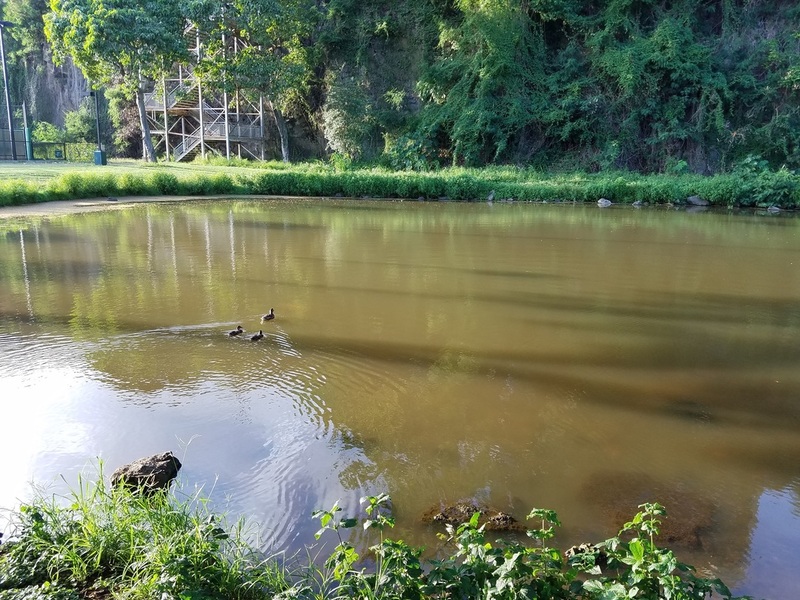 At the end of the semester, the teams presented their design and competed at the UH Manoa swimming pool. 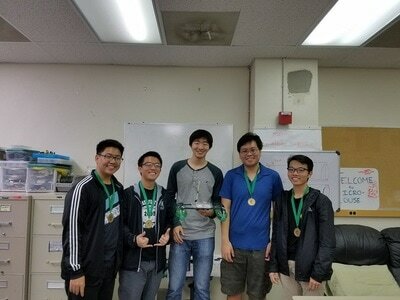 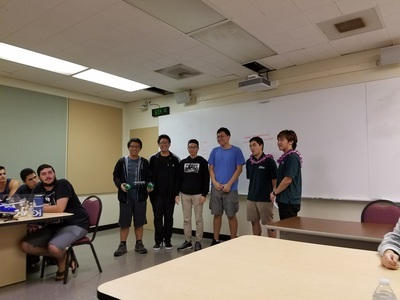 Eta Kappa Nu's team this year was composed of four bright freshmen: Ryan Li, David Liang, Kevin Liu, and Clinton Ng. 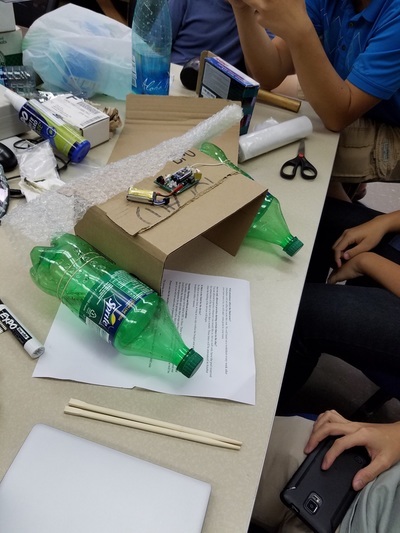 They met up roughly every week to work on their design and was able to come up with a working prototype using mostly recycled material. 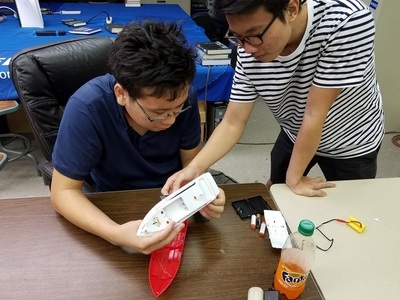 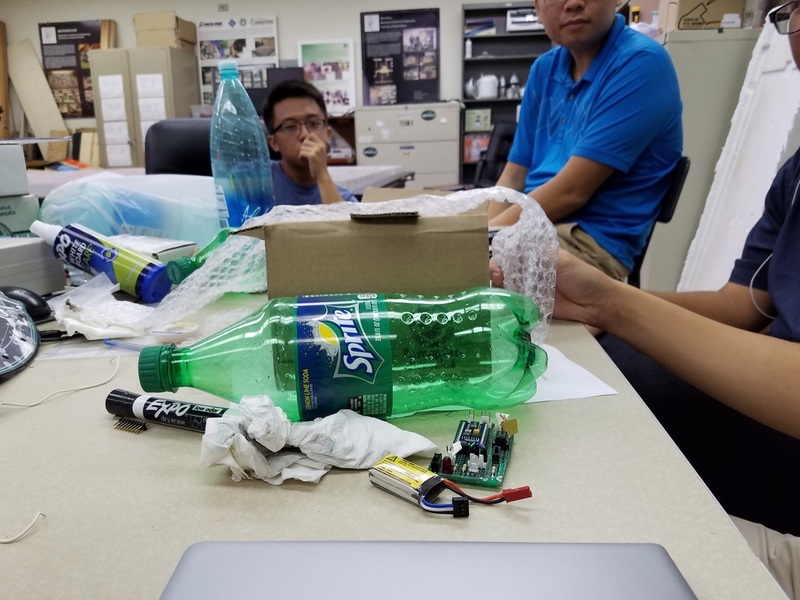 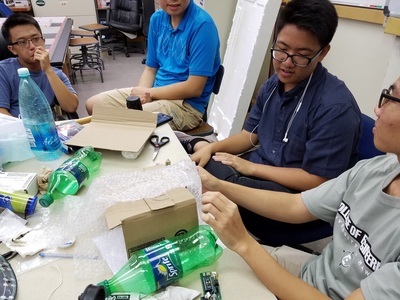 At this point, they still had a few weeks left before the competition, so they used the remaining time to design a second prototype, improving upon the first. 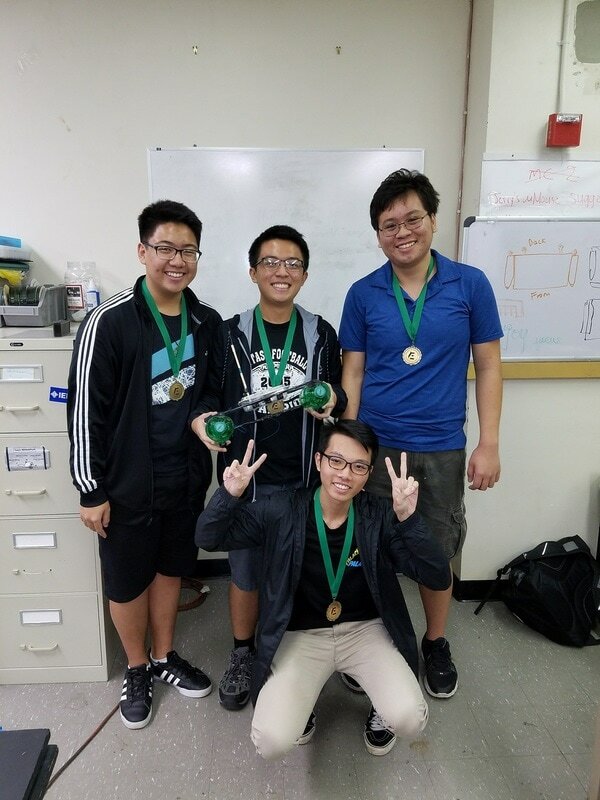 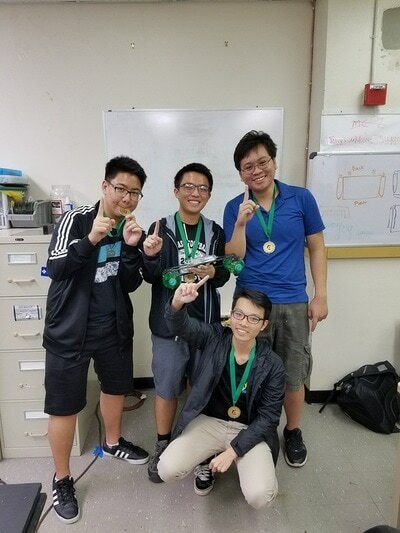 At competition, they finished with 29 balls at a time of 58 seconds, which combined with their presentation scores, won them first place. 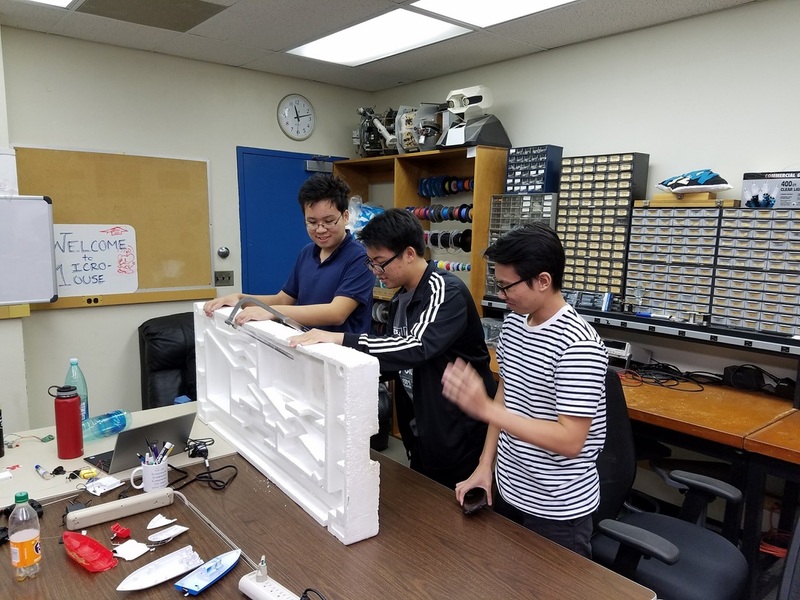 You can view their progress below as well as check out the final competition video here.